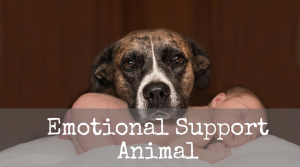 An emotional support animal, usually a cat or dog, although this can also include other domesticated species, such as birds, guinea pigs, hedgehogs, snakes, rats, teacup pigs, and hamsters provides a healing effect to its owner through its company. These animals provide comfort and emotional support to individuals experiencing mental impairments and psychiatrist disabilities. Emotional support animals are especially trained to carry out tasks for an individual who suffers from mental disabilities. An ESA, unlike service animals, is not permitted access to areas of public housing. ​Can a person with mental disability have more than one emotional support animal? ​Can an individual have two cats, a dog and several birds as their emotional support companions? ​This is a reality for some people experiencing an emotional disability, but does this approach have any repercussions? The law is quite clear when it comes to having more than one ESA. The rules state that some individuals can really need two or more service animals to be able to function properly from day to day. The particulars have been highlighted in the Americans with Disabilities Act FAQs. But the statement also acknowledges circumstances where housing more than one emotional support animal becomes a problem, for example in a packed restaurant or even in a person’s own home. 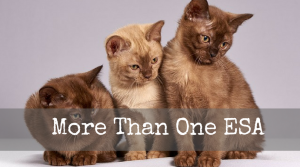 But while the Americans with Disabilities Act does not provide a particular number of ESAs that one can have, the FHA act is more clear about its “no pets” policy. The Fair Housing Act (FHA) applies to practically all types of housing, both for rent or sale. This includes single family homes, condominiums and apartments, with some major exceptions like building with less than four units where, one of which is the landlord’s current abode. The law also does not include private owners who own less than three single-family homes, do not utilize the services of brokers or real estate agents, and avoid engaging themselves in discriminatory and unfair advertising practices. Property owners are usually requested to modify and adjust its policies for tenants who come with emotional support animals. These tenants have to be offered the same rights as those extended to regular tenants to fully utilize the facilities of the apartment, housing complex or property. ​In some instances, such as housing two or more ESAs, the tenant and the landlord must agree on all the pre-set terms and conditions. The benefits of the Fair Housing Act laws include the fact that property owners cannot charge an advance fee or deposit for ESAs. However, ESA owners should keep in mind that if neglectful behavior towards the animal becomes apparent or significant damage is caused to the property, the owner of the house might be able to recover the damage reimbursement at any point later. Nevertheless, the big question is how many emotional support animals are considered reasonable to accommodate in a house. The person who has an ESA should be able to decide this when considering the animal’s living conditions and welfare. For example, if an individual is only living in a small room, crowding the place with several emotional support animals would not be practical. Similarly, the size of the animal also needs to be into account. Big cats, dogs, and horses may not be fit for small-scale housing. There are also grooming, feeding, cleaning and veterinary issues like medicines and shots, to keep in mind when deciding to go with more than one emotional support animal. 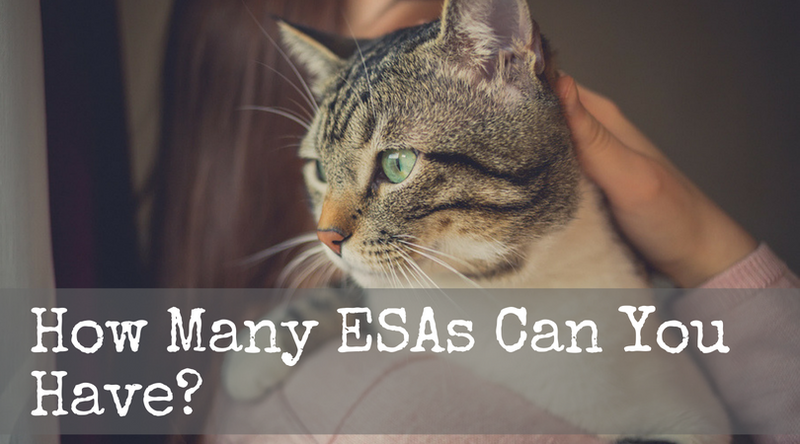 So, even though you are allowed to keep multiple ESAs, there are other factors to consider before you go for this option. For answers to more of your pet related questions, please visit our FAQ Page.